The King Faisal Center for Research and Islamic Studies hosted a panel discussion entitled: "Modern Uzbekistan: Islamic Renaissance in the 21st Century,” presented by Prof. Akmal Saidov, with attendance by HRH Prince Turki Alfaisal and Secretary-General Saud Alsarhan, as well as a number of academics and research fellows. The panel discussed modern Uzbekistan and its Islamic rise, its march of peace and modernization, its cultural, ethnic and religious diversity, the role of education reform and development in its renaissance, and the global initiatives launched by the country on various issues. 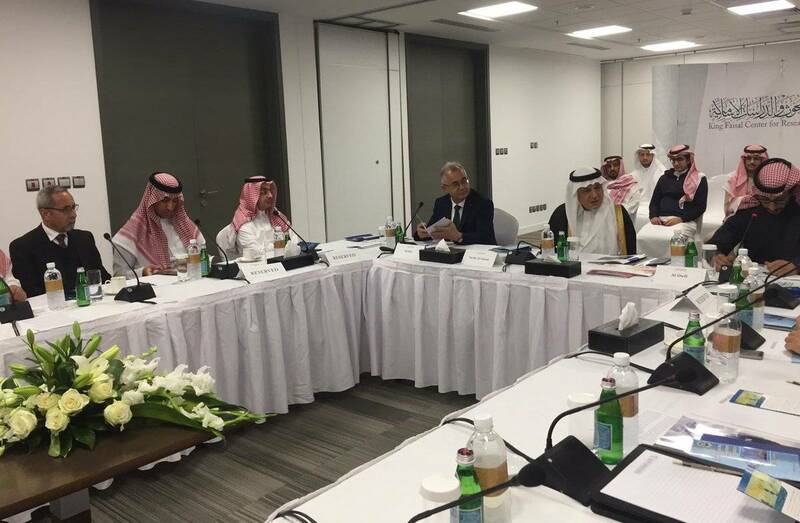 Prince Turki Alfaisal stressed the importance of academic cooperation and the exchange of knowledge between organizations and centers, in addition to cooperation in the field of education and the exchange of students with other countries. The panel ended with an open discussion between the participants.